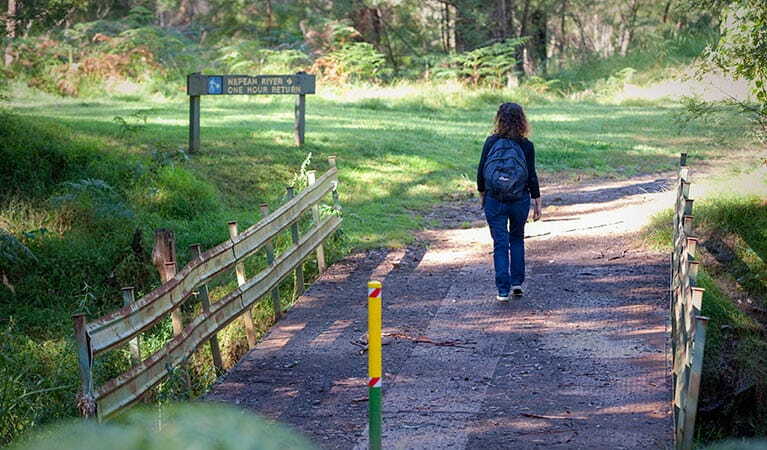 A family-friendly medium difficulty walking track, Nepean River walk offers wildlife, swimming and picnicking in Blue Mountains National Park, near Glenbrook. The entry gate is locked by 6pm (7pm daylight savings). For late exits, phone 0421 529 001. A fee applies for non-emergencies. After heavy rain, Glenbrook Causeway may be closed. Contact Richmond office to check. Check the weather before you set out and ensure you're well prepared. Weather can be unpredictable and extreme in this area and the track can become boggy when it rains. Fill in the free trip intention form and hire a PLB before you set out. It's a good idea to bring a topographic map and compass, or a GPS. 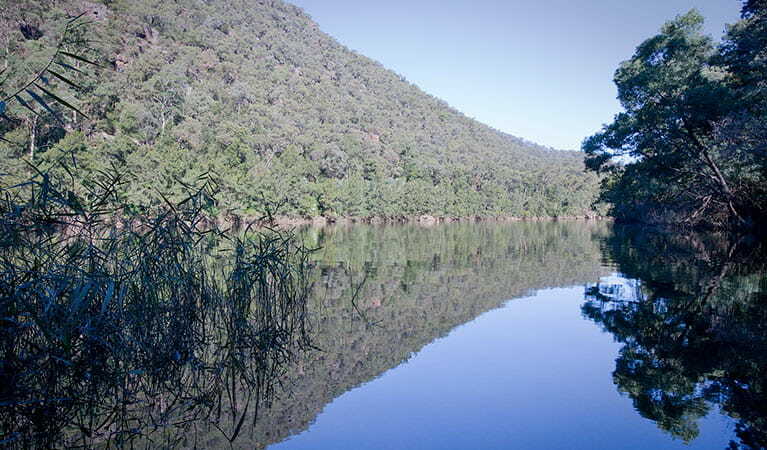 An enchanting walk through delightful woodlands and rainforest in the eastern reaches of Blue Mountains National Park. 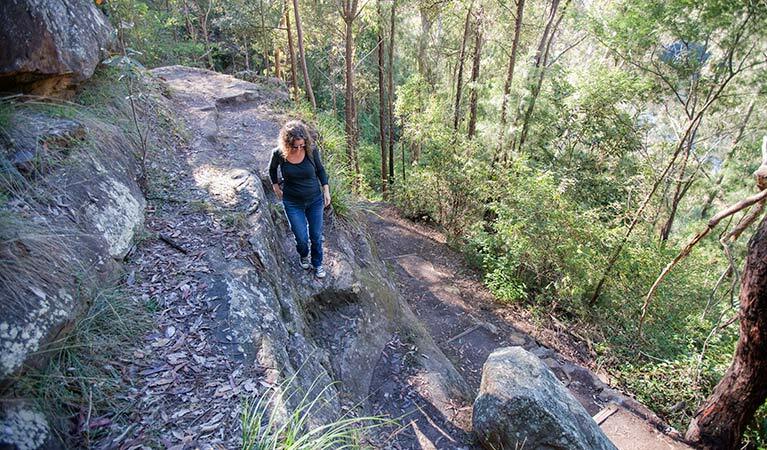 Starting from the Darug area in Euroka campground, the medium difficulty Nepean River walk offers a great introduction to the wonders of nature for families with some bushwalking experience. 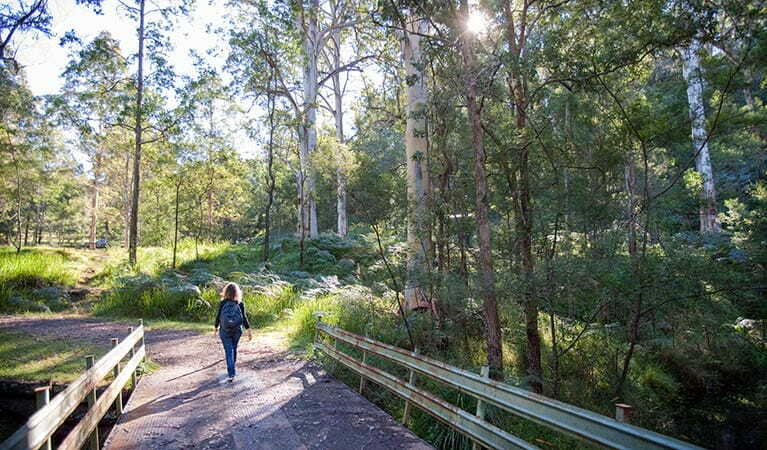 From the grassy clearing, the track leads east through a narrow canyon where the sheer walls create a rainforest hothouse for lush ferns with towering lilli-pilli and coachwood. 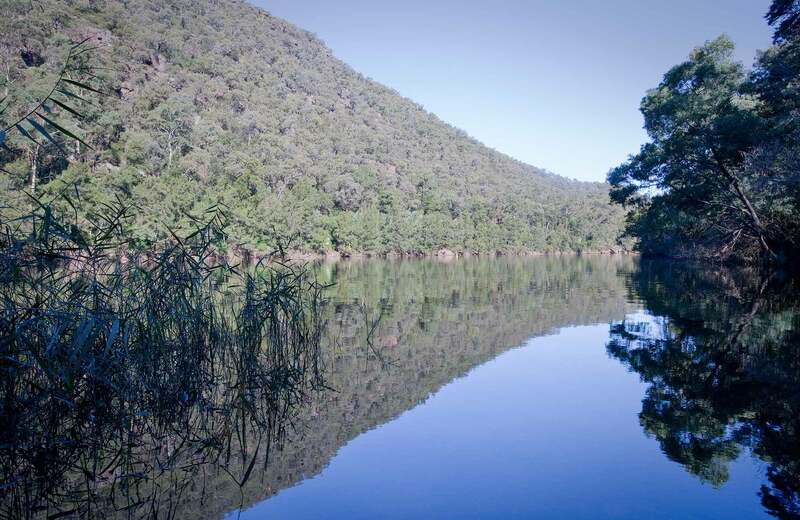 The track descends steeply with some obstacles into Fairlight Gorge before arriving at the river, where you might see water dragons sunning themselves along the banks. In spring the wildflowers blanket the surrounds with a dazzling display of scent and colour. Adventurers might be tempted with a swim before enjoying a leisurely riverside picnic. Eat up as you’ll need some energy for the steep climb out before joining Bennets Ridge walking track. 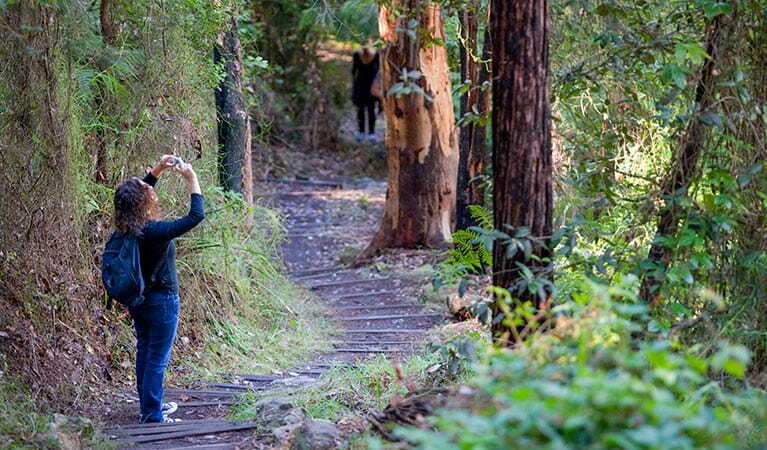 Take a virtual tour of Nepean River walking track captured with Google Street View Trekker.